While we’ve discussed many different options regarding the food we may eat and the water we may drink, one thing we haven’t talked about is how we’ll be preparing many of those food options. 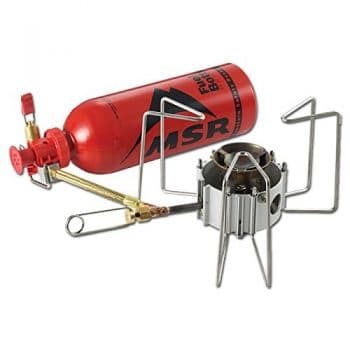 It’s a good idea to have a solid backpacking stove like the MSR Dragonfly, MSR Whisperlite or the Jetboil PCS for emergencies and for on the go survival situations. What we haven’t really touched on until now is a long-term survival plan for cooking. Camp stoves are great options for cooking meals in the woods, but what about in your survival camp? No backpacking stove is recommended for use indoors, not just because of the fire hazard but also because of the potential for carbon monoxide poisoning. So what do we do? One option you could implement is the wood-burning stove. This type of stove has been used successfully for hundreds of years and can work very well in survival situations. My family used one of these stoves in our cabin in the mountains of Vermont and it not only made for an exceptional stove but also did a great job of keeping the place warm in the winter. 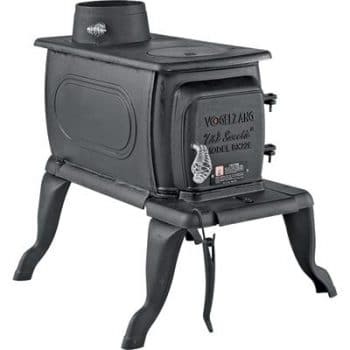 A great survival shelter sized option is the Vogelzang BX22EL Lil Sweetie Cast Iron Stove. This stove isn’t too big and it’s not too small. With a few basic installation procedures (basically installing the stovepipe and venting it out of your shelter) you’re stove is ready to go. This type of stove can provide literal decades of cooking and heating, as long as you’ve got the wood available to burn inside of it. Another option to consider is the electric burner stove. I know we’ve talked at length about how there will not be electricity available but we’ve got a solution for that. 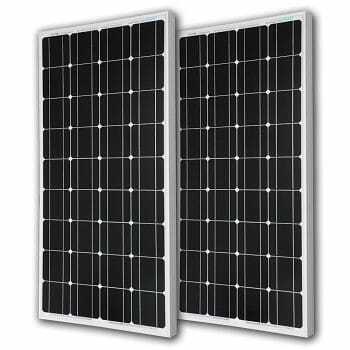 We’ve talked in some of our previous posts about solar panels that can generate enough electricity to operate small household appliances (a new one to check out is the RENOGY 100 Watt 100w Monocrystalline Photovoltaic PV Solar Panel Module). We’ve also got a post that talks about a bicycle-powered generator that’s really cool and would work great for powering electric burner stoves and numerous other devices. So, now that we’ve figured out that we can power one, which stove should we get? For our money it doesn’t get any better than the Waring DB60 Portable Double Burner. It’s the basic, yet advanced, simple yet dynamic, two-burner stove you’d want to have in your kitchen during a post zombie apocalypse scenario. We’d recommend having 2 of these, giving you 4 available burners 2 of which are large and 2 that are smaller to handle any and all cooking needs. 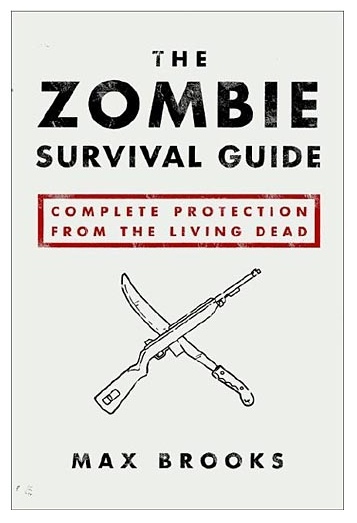 So whether it be electric or wood burning, get yourself a long-term cooking option and get your plan in motion to survive the zombie apocalypse.